Welcome! You’ve landed here because you’re interested in finding out more about how to take the stress out of dressing with my online style program. I’m so glad you’re keen to know more. First I’d like to give you a little background information. 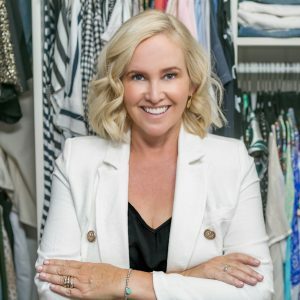 For almost 10 years, I’ve been writing this blog and advising women on how to get their wardrobes sorted and working for – not against – them. What’s happened for me over that time, is that the more I advise and help, the better I actually get at keeping my wardrobe situation under control as well. Funny that. The more you practise something, the better you get at it. Who’d have thought? I’ve been creating and featuring more capsule wardrobes on the blog for more than three years and you’ve lapped them up. I understand why they work because they give us a starting point – a road map if you like – to navigate and create a wardrobe that works. In a nutshell, a capsule wardrobe is all about filling your wardrobe with MORE pieces that mix and match with each other. It’s about having MORE pieces that are versatile – that can be dressed up or down depending on the occasion. It’s not about having a full-to-overflowing wardrobe, it’s about consciously and mindfully filling your wardrobe with pieces that work with each other. Get this idea of less is more and you’ll always have something to wear. Nailing this concept of a capsule wardrobe is the reason why I offer an online style program that has a capsule wardrobe at its core starting point. The autumn-winter 2019 Ultimate Capsule Wardrobe online style program will open on May 10, 2019.